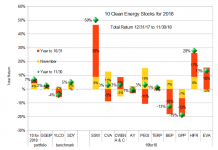 While the broad market has been turbulent for the start of 2018, clean energy stocks have fared worse than most. 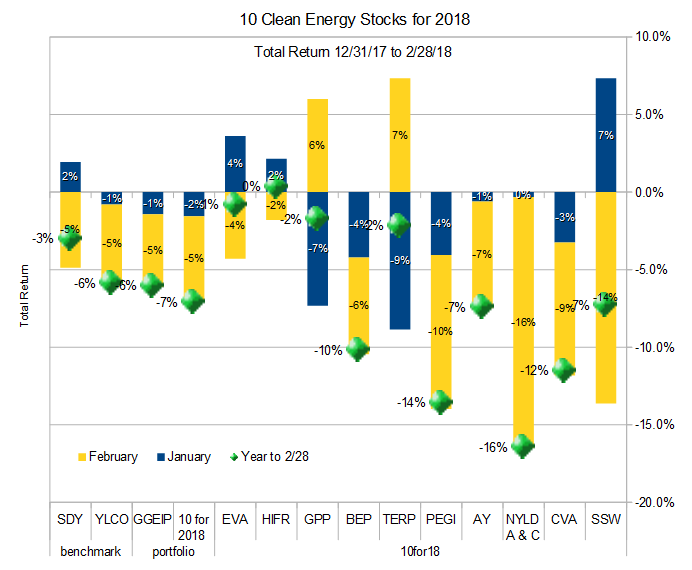 The Trump administration’s anti-environmental efforts had little effect on clean energy stocks in 2017 (it was a banner year for this model portfolio). So far, this year has been quite different. Last year, investors seemed unfazed by the chaos in Washington, but with the single “win” of the Republican tax give-away to corporations, investors now seem to think that Trump may indeed be able to deliver on his polluter-funded agenda. Income-oriented stocks have also been taking a beating, and the Federal Reserve expresses concern about the rapidly expanding deficits caused by the Republicans’ irresponsible fiscal policies. In the long term, higher interest rates will be good for savers, who will be able to earn a higher return on our investments. In the short term, prices of income producing stocks will have to adjust downward in order to deliver higher yields. The below-market sale price for Yieldco 8point3 Energy Partners (NASD: CAFD) has also spooked Yieldco investors. 8point3’s situation was largely unique among Yieldcos. I warned readers repeatedly about its overvaluation in 2017, saying that it was unlikely to find a buyer at any price over $13 per share. Nevertheless, the below market sale price of $12.35 may be making investors in other Yieldcos wonder if something similar could happen to them, and that fear seems to be driving down the prices for other Yieldcos. 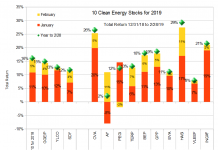 Overall, my broad market benchmark SDY fell 3.0% for the two months, my clean energy benchmark YLCO fell 5.9%, and the model portfolio of ten clean energy stocks fell 7.1%. The real-money Green Global Equity Income Portfolio (GGEIP), which I manage was down 6.1%. You can now follow the daily performance of GGEIP at keel.io. Investors who pay a monthly fee can also see the components of the actual portfolio and trades. This should give you insight into the many stocks I own that are not in my annual top ten lists, as well as insight into my options strategy. Leading independent charter owner of container ships Seaspan missed analysts’ earnings estimates on February 28th, but the company’s financial strength and market position remains strong. Further, the container shipping industry continues to recover and Seaspan’s dividend is well protected. Unless Trump starts a global trade war that greatly impacts global shipping volumes, investors who buy at the current price are likely to be very happy. I have been slowly shifting my exposure to Seaspan from the preferred (SSW-PRG, etc.) shares into the common shares. US leader in the construction and operation of waste-to-energy plants Covanta also had slightly weaker than expected earnings in 2017. The causes were the delayed re-opening of one of its larger plants in Fairfax Connecticut and slower than expected start up of its new waste-to-energy facility in Dublin. Since these are both one-off factors I expect the company to produce much stronger results in 2018, with both the Fairfax and Dublin facilities fully operational. Assuming no new mishaps, there will also be a small boost from insurance recoveries related to 2017 Fairfax down time which will boost 2018 results. NRG Yield’s sponsor, NRG Energy (NRG), announced the sale of its stake in the Yieldco to private infrastructure fund Global Infrastructure Partners (GIP). GIP also bought NRG’s renewable energy development arm, giving it the full capability to generate projects for the Yieldco to buy through its Right of First Offer (ROFO) pipeline. 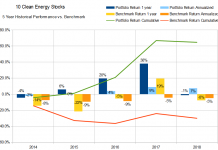 With the same development capabilities that NRG had, without NRG’s lack of attention to renewables, the acquisition should be bring renewed certainty to NRG shareholders. As the oldest Yieldco, NRG Yield had an advantage over other Yieldcos in that it had many opportunities to raise stock market capital at attractive prices, and it took them. While those investors who bought during the Yieldco bubble are under water, new investors can now buy the stock on the market far below its historic cost of capital. Today, we get a solid 6+% yield, while the company still has significant retained cash flow to continue to grow the dividend. Management says to expect 15% year over year per share dividend growth in 2018. After the 16%+ selloff the Yieldco has see so far this year, the stock seems like an excellent long term buy. 12/31/17 Price: $21.21. Annual Dividend: $1.16(5.6%). Expected 2018 dividend: $1.39. Low Target: $18. High Target: $30. Like its sister Yieldco NRG Yield, Atlantica had its sponsors’ stake (formerly owned by Abengoa) purchased by a diversified infrastructure company. In Atlantica’s case, the buyer was diversified renewables, water, and transmission utility Algonquin Power and Utilities (NYSE:AQN) late last year. Unlike most Yieldcos today, Atlantica significantly cut its dividend when former sponsor Abengoa declared bankruptcy. That dividend cut was timely, and has allowed Atlantica to fund some modest acquisitions with retained cash flow. This gives Atlantica a path towards renewed dividend growth even though its low stock price effectively prevents it (as with most other Yieldcos) from raising new growth capital in the stock market. This is why I’m interested in holding Atlantica with a 6% yield even while many other Yieldcos currently offer yields over 7%. Wind Yieldco Pattern disappointed investors with lower than expected 4th quarter financial results. Although the company announced that it had fixed the internal controls which had been holding the stock back for over a year, the weak earnings results knocked the stock down from its already depressed level when they were announced on March first. The cause of the shortfall was a combination of weaker than expected wind conditions, no production at the company’s Puerto Rican wind farm, and grid congestion at a couple of its Texas wind farms. Two more factors spooking investors were the Pattern chose not to raise its dividend for the first quarter since it went public. This was probably a wise decision since the company has a goal of achieving an 80% payout ratio in the medium term, but it paid out 100% of cash flow available for distribution (CAFD) in 2017. CAFD should improve in 2018 due to recent acquisitions and the Puerto Rican wind farm slowly returning to full production over the coming months. Even so, if Pattern holds the dividend constant in 2018, I expect the payout ratio will remain above 90%. With Pattern trading in the low 17s, and an annual dividend of $1.69, we’re looking at a company with a yield in the high 9% range but likely only minor dividend growth over the next 2-3 years as the company strengthens its cash flow to achieve its target payout ratio. At a nearly 10% yield, I don’t need dividend growth to persuade me to buy the stock, especially since the stock is trading below the likely value of its assets. If business continues as expected for the next couple years, investors will collect a 10% yield for their money. If Pattern gets a buyout offer from a large infrastructure investor, investors are likely to see an immediate 20%+ gain. Yieldco Terraform Power is beginning its life under a new sponsor in Brookfield Asset Management (BAM,) and it’s been an eventful quarter. The value of a strong and committed Yieldco sponsor like BAM was made clear when TERP made an offer to buy Spanish YieldCo Saeta Yield (Madrid:SAY) at a 20 percent premium. The bid will be funded in part with a $500 million line of credit from BAM and a $400 million equity offering which Brookfield has agreed to backstop in order to provide a minimum issuance price. Under TERP’s bankrupt former sponsor, SunEdison, such a deal could never have happened. Terraform immediately announced a 6% increase in its dividend due to the accretive nature of the deal. 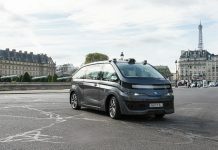 The deal is expected to close in the second quarter of this year. Brookfield Renewable Partners has long been the largest publicly traded Yieldco, and most (82%) of its generation is hydroelectric power, which I believe should trade at a premium due to its long asset life and the difficulty of adding more hydroelectric generation. The company is now integrating the assets acquired with the purchase of Terraform Global at the end of 2017, and declared a 5% increase in its quarterly dividend (to $0.49) based on the cash flows from this and other recent acquisitions. Brookfield’s target for annual dividend increases is 5% to 9% on an annual basis. Ethanol MLP and Yieldco Green Plains Partners announced 2017 results on February 8th. Without new dropdowns from its parent, Green Plains (GPRE), most measures of profitability were flat over 2016, but the company increased the quarterly dividend to $0.47 share, for a 94% payout ratio compared to net income. Ethanol demand is strong, and the company is investing in new facilities using both retained earnings and an expanded credit facility. They have a joint venture building a train terminal and associated ethanol storage in Little Rock, Arkansas which they expect to be completed in the first quarter. They are also looking at accretive acquisitions. Ethanol is also a favored industry of Republicans in Washington (if not by Donald Trump, who sees it as a rival to his friends in oil and gas.) This makes Green Plains Partners an attractive as a way to diversify political risk for clean energy investors. Talks are underway about possibly relaxing the current limits on ethanol blended into gasoline to allow 15% ethanol to be blended year round. It is currently only allowed in summer months. I expect modestly dividend increases in 2018, and with the current yield over 10% and more political opportunity than political risk, GPP seems like an excellent diversifier in a clean energy portfolio. Electricity transmission REIT InfraREIT is the only one of my picks to produce a positive return so far this year. The company announced 2017 results on March first. The company sold off in late 2017 because of confusion about how the new tax rules will affect its regulated utility income. The company took a large non-cash regulatory tax adjustment at the end of 2017 that reduced its 2017 income to $0.28 per share from $1.14 per share in 2016, but what effect the tax changes will have on the company’s future lease payments and ability to pay dividends is unclear. This is especially true because InfraREIT and its tenant are looking at how best to structure their relationship under the new tax laws. Given the mandate of utility regulators to both maintain low rates and provide a level of certainty that permits utilities to access capital markets, I do not expect a sudden drastic reduction in lease payments because of the new tax rules. The uncertainty about the future that those new tax rules have caused is keeping InfraREIT’s stock down and could lead to significant capital gains when it is resolved. Wood pellet Yieldco and Master Limited Partnership Enviva is another odd-ball diversifier for a clean energy portfolio. The company reported annual results on February 22nd, showing continued growth from drop-downs from its sponsor. The company paid a $0.62 dividend in the first quarter and intends to distribute at least $2.53 in 2018, which would amount to an 11% increase over 2017. This should be easily achievable, even without further growth. With a current yield of over 9% and at least 11% dividend growth expected in 2018 based on contracted cash flows and a unique clean energy technology that enables the reuse of power plants that formerly burned coal, Enviva continues to deserve a place in any clean energy investor’s portfolio. After a 38% percent return for this model portfolio in 2017, it can hardly be surprising that we’re having a pullback. While I replaced some of the most overvalued stocks with less expensive ones, bargains were few and far between at the end of 2017. That is no longer the case today. 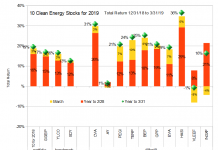 These ten clean energy stocks are generally lower risk than the market as a whole, but even they should be approached cautiously given the current macro environment. Hope for the best, but keep a healthy allocation to cash in case we get something less than the best. With this pullback, it’s time to start putting some (but not all) of that cash allocation to work. Because of the large declines in their stock prices, it’s well worth considering adding to your positions in Covanta (CVA), NRG Yield (NYLD/A), Pattern (PEGI) and Brookfield Renewable (BEP) at current levels. But continue to keep some cash in reserve. 2018 looks likely to be a year full of buying opportunities. Disclosure: Long PEGI, NYLD/A, CVA, AY, SSW, SSW-PRG, TERP, BEP, EVA, HIFR, GPP, AQN. Previous articleOne Week, Three YieldCo Deals. Are More Buyouts on the Horizon? Always enjoy your discussions. On a tangential topic do you have any insight on when or if the CEO for PW plans to re-initiate a dividend on the common shares? I got in around 6.5 before the court ruling and am pondering whether to take a loss and move on or wait until a dividend reappears. It is very hard to find any information on this company. Sorry, no insight. Have not talked to him in a year. But I’lll drop him a note… I’ve been thinking along similar lines. I’m looking forward to the next update on these 10 stocks. SSW had a spectacular jump today. PEGI is well below the projected low of the year–I bought some a while back, and thinking to buy some more at recent prices.